Would you love to sing the world's greatest choral music? Singers with previous choral experience are encouraged to audition! 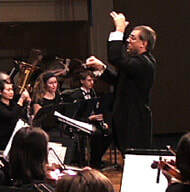 Auditions are held at the beginning of rehearsals for each concert. educational, and other support activities. Copyright © 2018 Santa Barbara Master Chorale. All rights reserved.